← Betty Hockey, Former FONFA Trustee, dies at 100 years of age. On Thursday 23rd February 2017, former FONFA Trustee John Levesley presented a new print to the Museum, on behalf of Bob Huddleston. 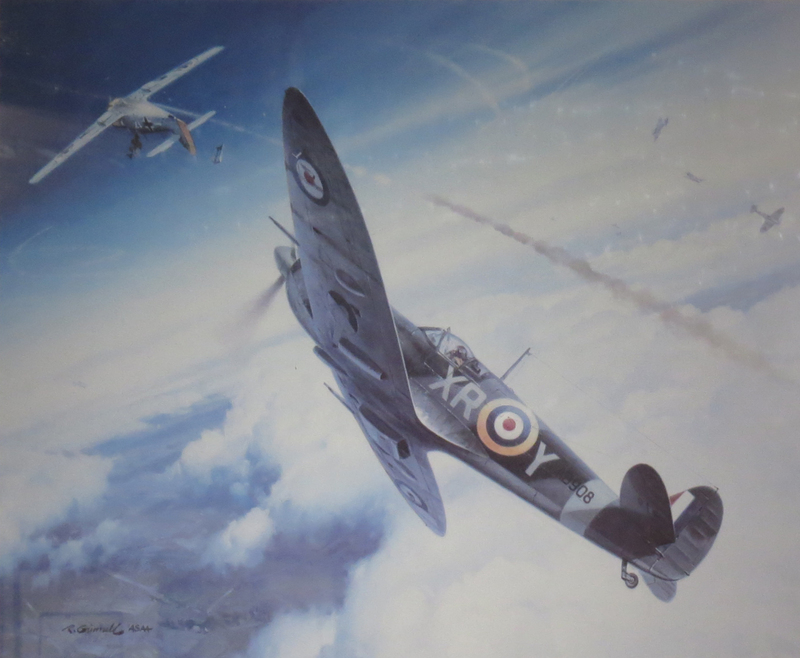 The print depicts the young Pilot Officer Carroll W, McColpin’s fourth victory, flying with the RAF’s Eagle Squadron, to which American volunteer pilots were assigned. 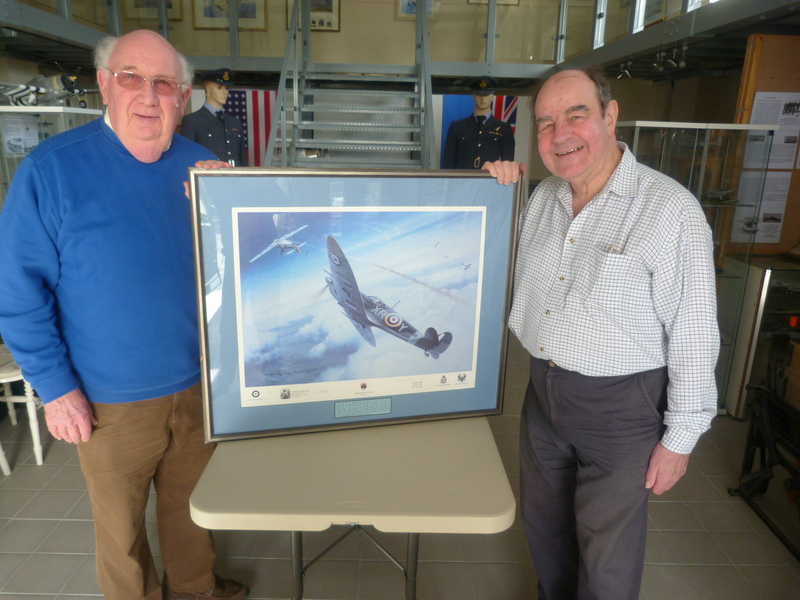 The print was gratefully accepted on behalf of FONFA by Chairman of Trustees Dr Henry Goodall, and immediately installed in the Museum gallery, among several other Spitfire prints. 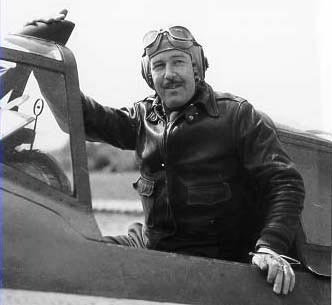 In 1944, Colonel McColpin (photo below courtesy of Andrew F Wilson) commanded the USAF 404th Fighter Bomber Group, flying the P-47 Thunderbolt, based at Winkton ALG, a few hundred yards from the FONFA Museum. He was later promoted to Major General. 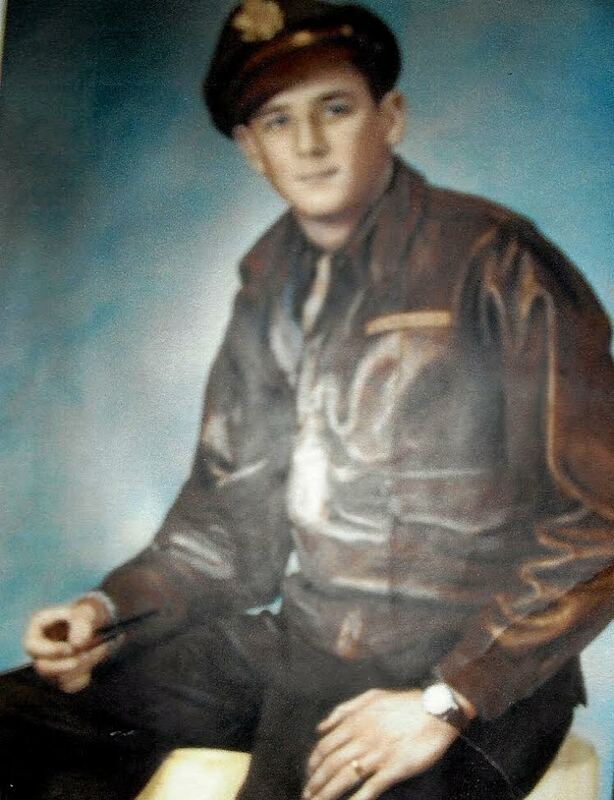 Lt, Robert Huddleston flew 36 combat missions, earning the Air Medal and 2 Oak Leaf Clusters. Bob served with the 506th Fighter Squadron, 404th Fighter Group, in 1944/45. He joined the 506th as a replacement pilot in the autumn of 1944. Bob doesn’t smoke a pipe any more but the A2 flight jacket still fits. Bob and his wife Pepita live in a retirement community in Chapel Hill, North Carolina. He has donated two signed limited edition prints to FONFA, ‘Thunderbolt Strike’ and ‘Eagle’s Prey’. 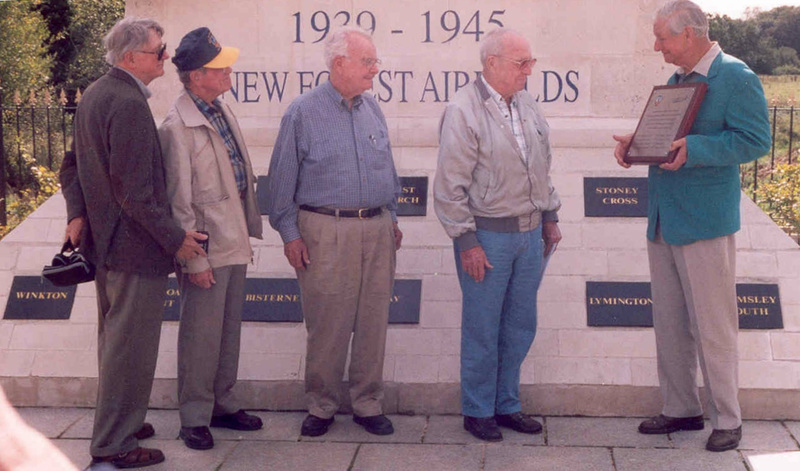 He was one of four 404th Group Veterans who visited the New Forest Airfields Memorial to present the 404th Fighter Group Memorial Plaque several years ago. Left to right: Bob Huddleston, Bob Bealle, Floyd Blair, Fred Varn and for FONFA, Les White.